A Lincoln Town Car registered in the name of OU Suicide Bomber Joel Henry Hinrichs III remained as of 4:00 p.m. EST today in the parking lot of the apartment where he lived and a U.S. Department of Justice inventory of the contents found by law enforcement officials was visible on the seat, Tapscott's Copy Desk has learned. Among the items listed on the inventory are "13 plastic bottles" in the trunk. The inventory did not note if there was anything in the bottles, their size or coloration. The blue Lincoln was registered in Oklahoma under Hinrichs' name in June of this year, according to state tag records. The expiration date on the tag was February 2006. As of 5:57 p.m. EST, a spokesman for the Oklahoma City FBI office had not returned a call seeking information on why the Hinrichs car had apparently not been impounded. Other items on the inventory include a title, insurance certificate, a 2003 Rand McNally Road Atlas and two other highway maps with undecipherable titles. The car's license tag is Oklahoma VUL014, with a February 2006 expiration date. Tapscott's Copy Desk has also learned that a tree near where Hinrichs' bomb detonated displays a number of small round holes and some areas of a metallic substance. The holes and substance are only on the side facing the bench on which Hinrichs was seated when the bomb detonated. The holes appear to be about the size of the head of 16 penny nail. 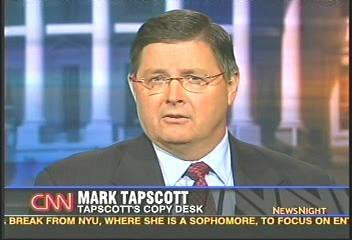 One of Hinrichs' neighbors told Tapscott's Copy Desk today that he believed Hinrichs lived with "three or four Arab guys." The neighbor said he rarely saw Hinrich or his roommates, except when they appeared to be going to and from classes. The neighbor said all of the residents of the university apartment complex where he and Hinrichs lived are from Nigeria, China and Middle Eastern/Southeast Asian countries.